Love has two paths which it can take, it can go sour and sweet at the same time. With the current waves of evils such as cheating, marriages especially celebrity marriages only last for a few minutes not even days. 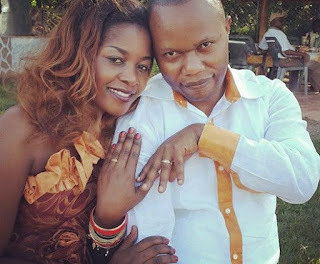 Well the bitter-sweet break-up of gospel artiste, Gloria Muliro and husband, Eric Omba were all over news as most couldn’t believe that the two could ever split on grounds such as cheating and embezzlement. A few months down the line seems like Gloria’s freedom is yet to be granted as she struggles to rid herself from her estranged husband’s hold. “That song is not even the issue. It’s about time that both Gloria and her estranged husband have a sit down and iron out their difference and decide either to get rid of each other or come back together.